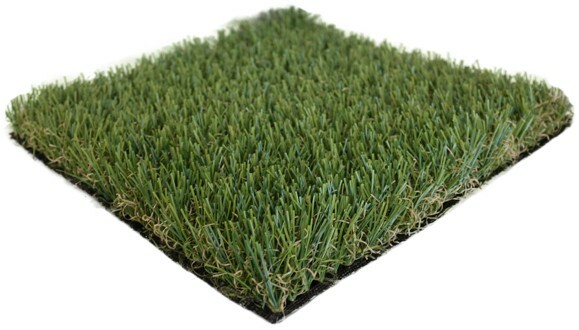 Active Pet & Play's durable and cost effective short blade height allows for easy clean up and adds resilience for high traffic areas making it the best synthetic turf for pets. 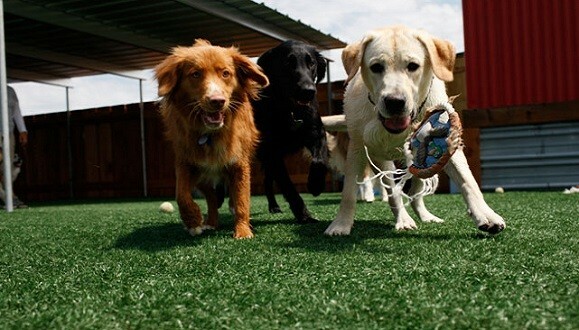 With Cool Reflect heat reducing technology and a natural look, Active Pet & Play artificial grass is a great choice for any pet, playground, or recreational area. Active Pet & Play comes in an earthy, dual toned spring and olive green with a natural looking tan and olive thatch. 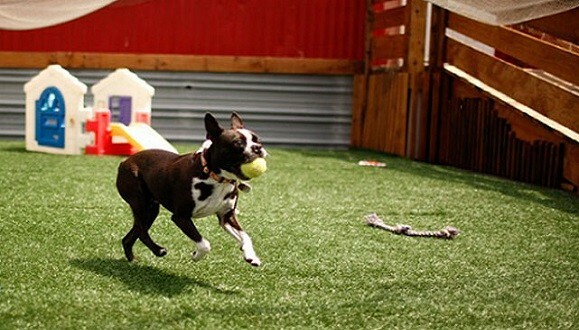 This pet perfect synthetic turf features PolyTurf's exclusive Cool Reflect heat reducing technology which keeps this turf up to 20 degrees cooler than standard synthetic turf, making for a safer, more comfortable play surface for children and pets. 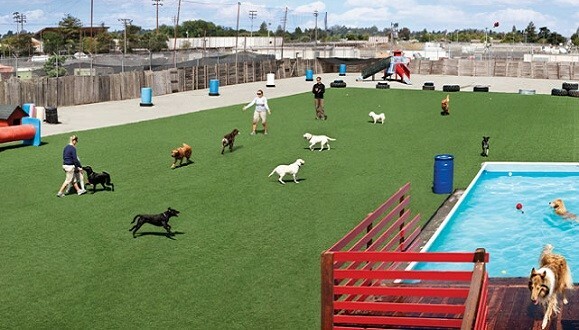 Active Pet & Play also features PolyTurf's EnviroFlow rapid draining backing which allows for rapid, even drainage throughout and a quick drying surface that doesn't hold on to odor causing bacteria. 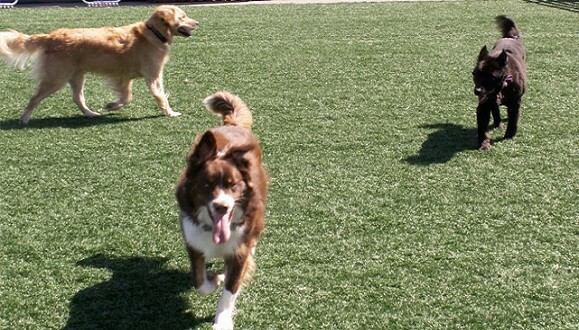 Active Pet & Play's short, light weight yarn fibers make this the easiest PolyTurf product to clean and maintain.